Are You Searching for Kindergarten or Elementary Classes in Houston? 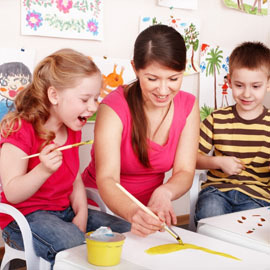 Our goal is to provide the best in childcare for kindergarten and elementary classes. If you’re looking for an early learning center in Houston, you’re in the right place. 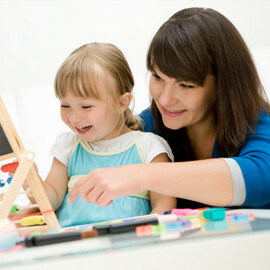 At First Class Child Development, there’s nothing we love more than taking great care of your kids. 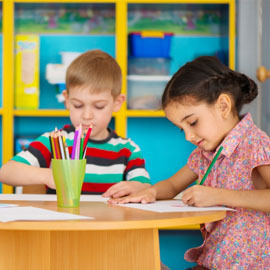 As an alternative to the public school, First Class Child Development Center offers a program, which meets all of the requirements of the Texas Education Agency for kindergarten as well as appropriate elementary grades. Using high quality educational materials, children are taught in an interactive environment. These classes are taught by qualified teachers and are limited in size. Kindergarten/Elementary students continue to learn through a center-based environment, which integrates the concepts of math, science, social studies, health and other content areas to a greater depth. Resource teachers supplement the curriculum in areas such as Music, Movement and Spanish. Reading out loud in small groups with the teacher sharpens the student’s language skills. Children are encouraged to foster their writing skills by inventing and writing stories. The children illustrate these stories and many have original endings. The physical, social, and computer sciences are explored with hands-on opportunities. Individual and/or class science projects are encouraged. With an on-site library, the students have resource material readily available in addition to the ability to check out library books and enjoy storytelling once a week. Supplies to bring: extra clothes, toothbrush and toothpaste, comb and brush, and small blanket. Please label all personal items with your child’s name. 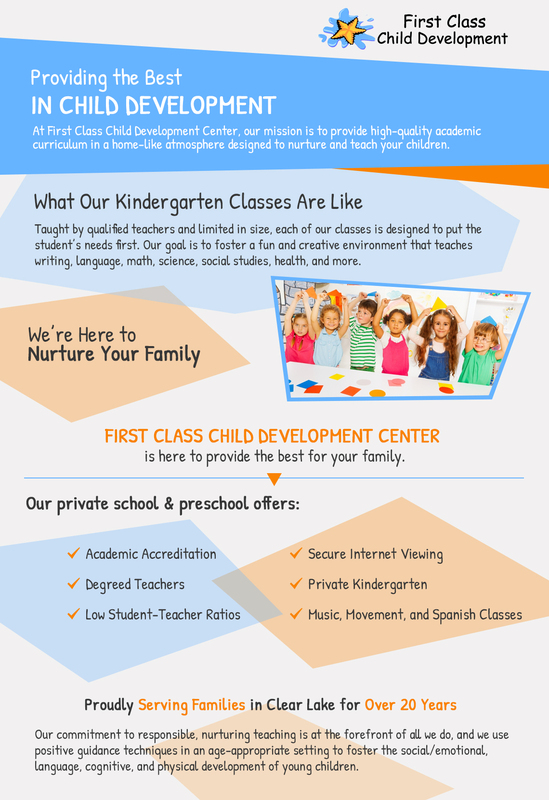 Contact us today to find out how you can enroll your child in Elementary school at First Class Child Development.